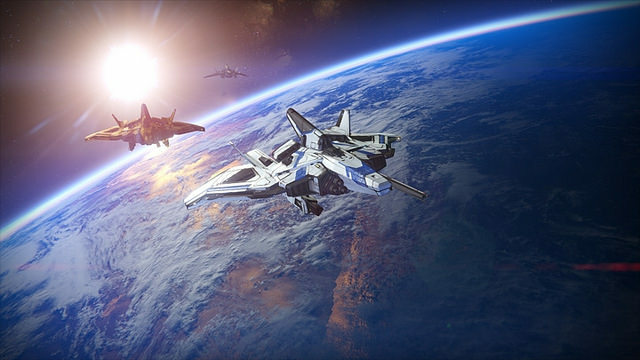 As we learned at E3, an alpha test for Destiny was made available to PS4 owners. It was scheduled to run from June 12 to June 15, but it’s not over yet. Bungie kept fans updated through Twitter on the status of the alpha. The servers went up and down all day as the company tested various featured, including Expert Mode for the beta (which starts July 17). We aren’t sure how long the alpha will remain available for. The alpha gives players access to the Tower, which is the social hub area where you can buy items and take on challenges, and Old Russia, a location on Earth to complete missions on. There is also a mobile companion app for you to try out, although it’s currently available only on Android. The iOS version isn’t out yet. Fans have responded positively to the alpha and the amount of content it has, which makes it all the most exciting to know that this alpha contains less than 10% of the content in the full game. Don’t forget, Destiny is huge. The Destiny Alpha is less than 10% of the game's content, and it amazes me people just keep on playing it. If you’re interested in picking up Destiny, remember that PS3 and PS4 players will get exclusive content, including a Strike set on Mars and a competitive multiplayer map. Sony provides the full details here. Share your thoughts on Destiny, and if you’re one of the lucky players involved in the alpha, be sure to let us know your impressions.